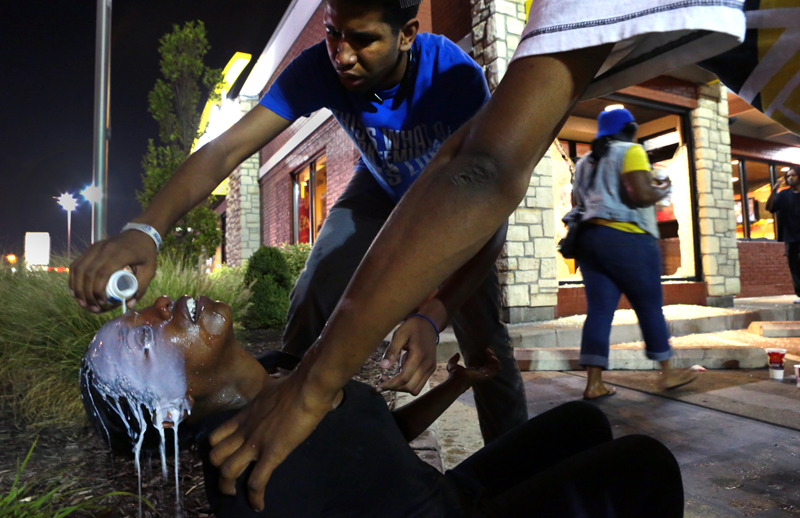 Cassandra Roberts has tear gas washed from her eyes, as a stranger uses milk from a nearby McDonald's in Ferguson. "We thought it could be a peaceful night," said Roberts, who was marching for the first time. "What the hell is going on in this world?"